Publisher: Hodder & Stoughton, London, 1954. Second printing. 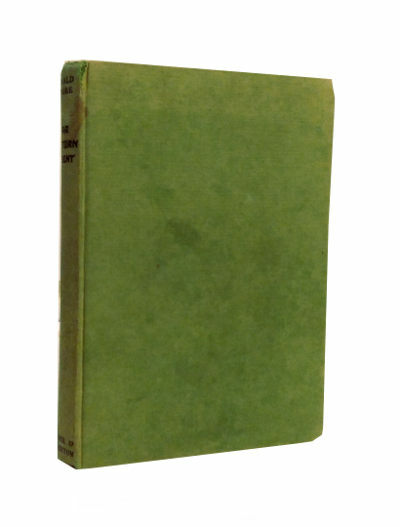 Condition: Hardcover, green cloth. Good. Some foxing. Inscription to ffep. Binding tight, text unmarked. 224pp. App 8″ by 5.5″. A book about everyday life in Singapore in the early 1950s – an invaluable glimpse into the lives of its ordinary folk. Author and publisher Donald Moore was born 7 May 1923, in Leicestershire, England. He was educated at Humphrey Perkins School, Leicestershire. He left school to work for a bank, but with the outbreak of World War 2, he joined the Royal Navy and served on convoys to Russia and later to the Far East. In 1947, he was sent to Singapore, where he was appointed as a representative for British publishers. This allowed many publishing houses to establish themselves in the region soon afterward. 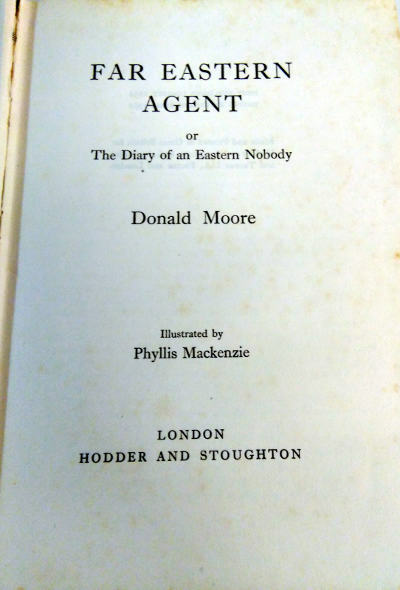 Moore set up his own publishing house—Donald Moore— which started publishing many books on Singapore and Malaya. He also wrote extensively himself, including Far Eastern Agent (1953), We Live in Singapore (1955), Where Monsoons Meet (1956), The Sumatra (1959), Far Eastern Journal (1960), and The Magic Dragon: The Story of Singapore (1975). His major book, written with his wife Joanna, was The First 150 Years of Singa-pore (1969). Moore also founded the Singapore Arts Theatre and established Donald Moore Galleries, which sold luxury domestic furnishings and kitchenware. However, the galleries were not a success, and he was forced to sell his publishing business, which was incorporated into United Publishers’ Services. He then moved back to Great Britain.